It is an innovative development in aesthetic medicine and rejuvenating treatments, by utilising the fourth state of matter: Plasma! Plasma pen offers an alternative to invasive surgical cosmetic procedures, reducing recovery time and any complications that can arise before and after surgery. What is the Plasma pen? The extremely accurate instrument works by ionising the gas particles in the air between its tip and the skin, to form plasma. An electrical arc is created, which results in sublimation .i.e turns a solid straight into gas. The system is very precise and doesn’t spread heat to surrounding areas, meaning it is perfect to operate on areas such as eyelids, that are not really suitable for other devices, like radio frequency scalpels or lasers. 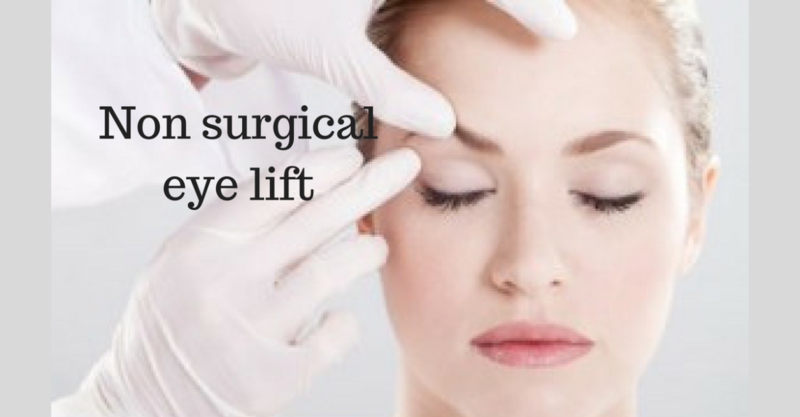 What you need to know about the Happy Woman Clinic non-surgical eye-lift. Our treatment consists of multiple shots spaced closely together on the upper or lower eyelids (or both). In addition to this we also treat the neck and upper lip – particularly smokers lines. The procedure normally takes less than 30 minutes to perform. Results are seen instantly although the best appearance is seen after 3 weeks. The Happy Woman Clinic specialises in non-surgical procedures and after care. Each client will be fully consulted on the procedure, what they can expect, price and after care information before any treatment is book. To see some of our before and after images click HERE.